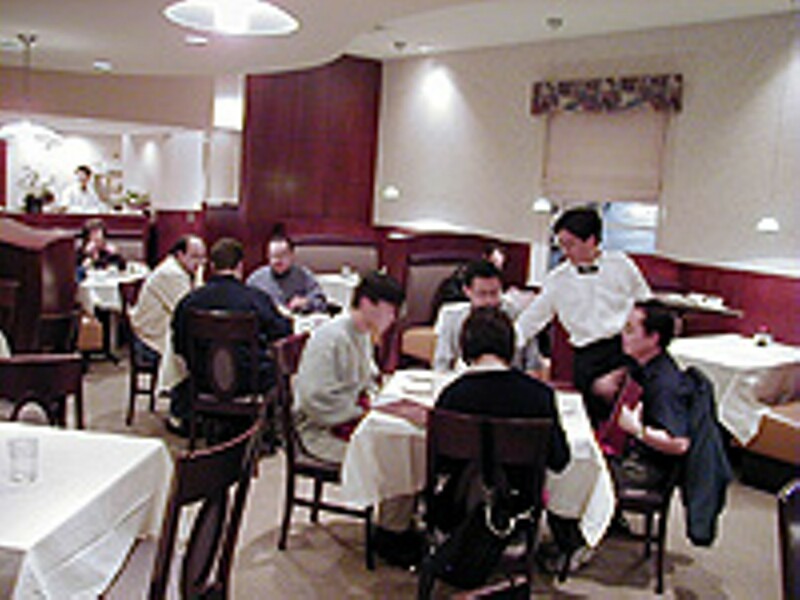 At Hong Hua, widely regarded as the best in the area, diners will enjoy the the fare without being knocked off their feet. The restaurant's decor has more of a fine-dining than a Chinese feel. It’s elegant to look at, with its curving lines of cherry wood and tasteful paintings of flowers. The shredded duck and mushroom soup comes highly recommended. The Szechuan hot and sour soup is another winner, more complex and flavorful than hot, it actually seems a bit sweet. An excellent entrée is eggplant in chili sauce. The mu-shu pork is tasty if not overly interesting, slightly sweet and crisped-up by the shredded cabbage that’s used. Dessert can be peppermint or ginger ice cream, or translucent lychees served on ice. Offers a full complement of fried rices, chow meins and lo meins, along with all the dishes found at corner Chinese restaurants throughout America.